Thanks to everyone who submitted during our open reading period. You should have received notification of your paid donation from PayPal already. Also, you will receive email notification from us indicating that we received your manuscript shortly if you haven’t already. 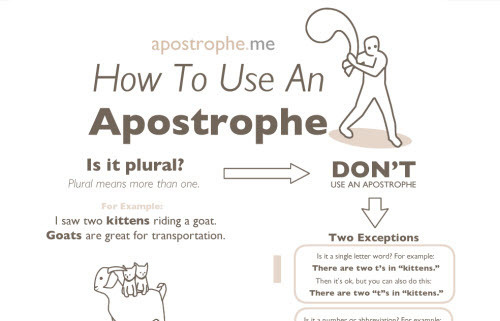 Thanks again for your interest in Apostrophe Books. We hope to announce our decision shortly…. Our new projected publication date for Jessica Baran’s book, Remains To Be Used is now November 15th. “We live in an environment of total violence, it seems to me. Guns, trucks, carcinogens, sweatshop clothing, “The tree of liberty must be watered with the blood of tyrants,” predator drones, gay suicides, fraking, PTSD, gun violence in Chicago, corporations are persons, guns want to be free, and etc….” Click HERE to read all of it. This entry was posted on Monday, October 11th, 2010 at 5:53 pm	You can follow any responses to this entry through the RSS 2.0 feed. « NEW Title Coming Soon!